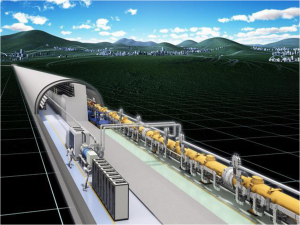 What does the P5 report mean for the International Linear Collider? Since the last Particle Physics Project Prioritization Panel (P5) report in 2008, an even stronger case has emerged for building the long heralded International Linear Collider. The latest P5 report, released this year, recommends that the US Department of Energy and the National Science Foundation make provisions, among other things, for significant US participation in the ILC construction, should the project move forward. P5 is an advisory panel that is periodically initiated by the Department of Energy’s Office of High Energy Physics and the National Science Foundation. Although P5 has no final say in the allocation of funding, it represents the American particle physics community’s viewpoint, and produces a report that is the culmination of a community driven process. It comprised well-known experts in the field, who sifted through the science and charted the field’s priorities over the next 10 years, keeping in mind the overall progress the field hopes to make in the next two decades. It also streamlined the particle physics community’s expectations according to fiscal realities of varying abundance. The panel was also advised by scientists involved in the ILC project, regarding the scale in terms of costs, manpower, technology and how it would all fit into a global high-energy physics research programme. After deliberation, it recommended support for the ILC on some level under all budgetary scenarios, as the physics case was extremely strong. The report, published in May, comes as a coherent plan for American high-energy physics. Funding for high-energy physics had been shrinking for some time. Even though expectations were mixed, the 2014 P5 report has injected substantial optimism, both for national projects and international collaborations. In a field that is already quite global, the technical and fiscal scale of the ILC requires unprecedented global cooperation. It is projected to cost around 7.8 billion ILCU (2012 US Dollar) and is designed to be a staggering 31 kilometers long. The ILC’s latest Technical Design Report, which has been nearly 10 years in the making, was created by the world community of high-energy physicists. In Europe, many scientists are already working full time on research and development for the ILC. In the United States, there was a strong push for many years starting in the early 2000s, to host the ILC. But the Omnibus Spending Bill laid that to rest in 2008. Currently, there are significant resources the United States can provide for the ILC. For instance, while Japan, as the most likely host country is expected to arrange for a significant portion of the infrastructure and funds, the accelerators—accounting for a large portion of the building cost— will require around two thousand accelerating cryo-modules. This is beyond the scope of a single nation to produce, and the United States already has the experience and infrastructure in place for producing at least a significant fraction of them. A clear case for the ILC emerged after CERN’s historic announcement on 4 July, 2012 of the Higgs discovery, and has grown even stronger since Japan took ensuing political steps to make the ILC happen. The lowest budgetary scenario recommends engaging personnel in R&D on the ILC accelerator and detectors for the next 3 years. The particle physics community recognises the imperative for US participation in this global project to maintain its leadership position in high-energy physics. 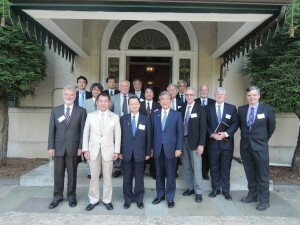 Meanwhile, in July, members of the Japanese Diet visited Washington to meet with members of Congress, and to be briefed by scientists. Once Japan green lights the ILC project, a formal collaboration will proceed. Enabling the U.S. to play a world leading role is a high-priority option.